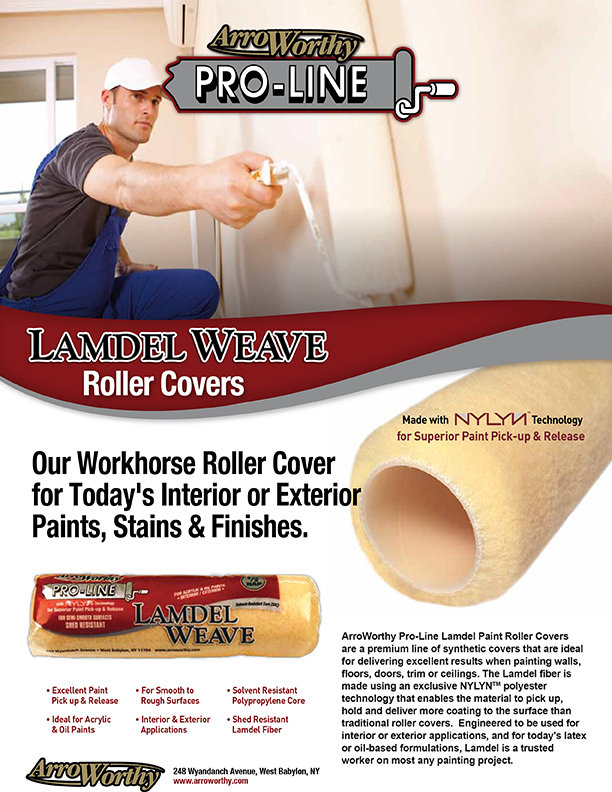 The Lamdel Weave fiber is made using an exclusive NYLYN™ polyester technology that enables the material to pick up, hold and deliver more coating to the surface than traditional roller covers. Engineered to be used for interior or exterior applications, and for today’s latex or oil formulations. Solvent resistant core (SRC).